Wahama junior Makinley Bumgarner (1) spikes the ball in front of freshman Victoria VanMatre (3), during the Lady Falcons’ straight games win over Southern on Monday in Racine, Ohio. 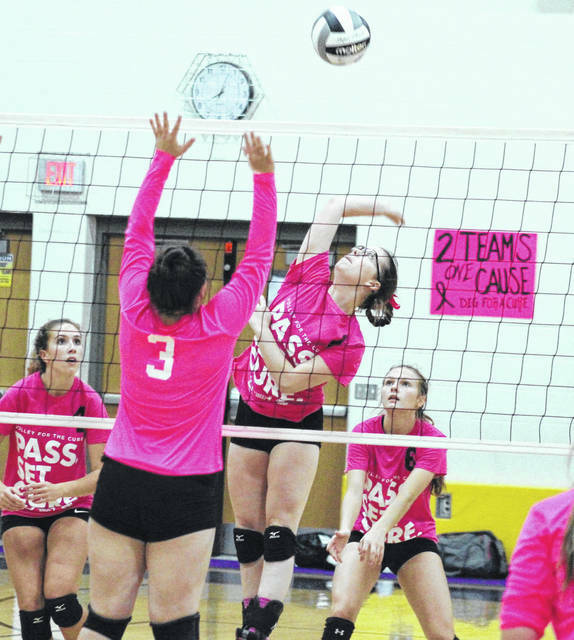 Southern sophomore Kassie Barton (center) attempts a spike over Wahama freshman Victoria VanMatre (3), in front of Lady Tornadoes Marissa Brooker (left) and Phoenix Cleland (6), on Monday in Racine, Ohio. RACINE, Ohio — What a difference three weeks can make. 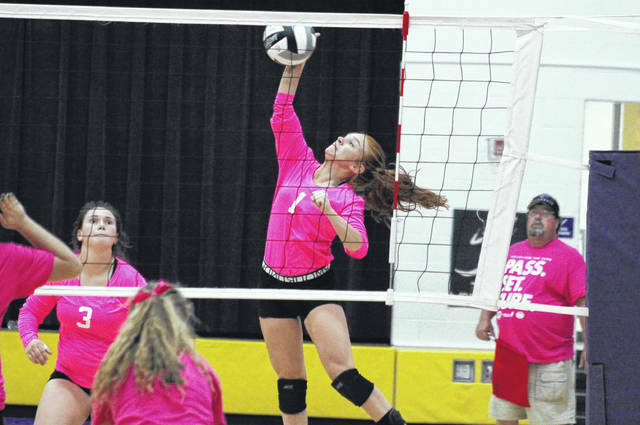 Just 21 days after the Southern volleyball team claimed a 3-1 victory at Wahama, the Lady Falcons earned revenge with a straight games win in Tri-Valley Conference Hocking Division play on Monday evening in Meigs County. Wahama (4-15, 3-11 TVC Hocking) never trailed in the opening game, fighting through just one tie, at 1-all, on its way to the 25-14 victory. The 11-point margin was the largest lead that either team held in the match. After a trio of early lead changes in the second game, Southern (6-14, 5-9) opened up a four-point, 12-8 advantage. The Lady Tornadoes stretched their lead to as many as five points, at 19-14, but the Lady Falcons battled back to reclaim the edge at 22-21. Wahama led for the remainder of Game 2, winning by a 25-23 count. The Lady Tornadoes scored the first three points of the third game and eventually extended their advantage to five points, at 15-10. After tying the game at 17 and again at 18, the Lady Falcons opened up a 22-18 lead. The hosts tied the game at 22, 24 and 25, before moving into their first game-point at 26-25. However, Wahama claimed the next three points and earned the sweep-sealing 28-26 victory. The win gives the Lady Falcons their second win the their last four matches. Of Wahama’s four victories this season, three have now been in straight games. WHS has also claimed three of its four wins away from home. For Southern, Monday marked the fourth straight setback, all in league play. The Lady Tornadoes hadn’t dropped four straight in the league previously this season. 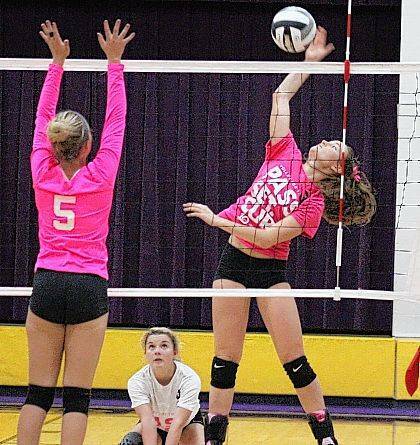 The Lady Tornadoes defeated Wahama on Sept. 18 in Mason, W.Va. by counts of 25-11, 19-25, 25-15 and 25-9. The Lady Falcon service was led by freshman Harley Roush with 12 points, including four aces. Madison VanMeter and Gracie VanMeter both marked nine points, with two aces and one ace respectively. Victoria VanMatre had eight points and two aces for the victors, Makinley Bumgarner added six points and one ace, while Hannah Billups chipped in with two service points. 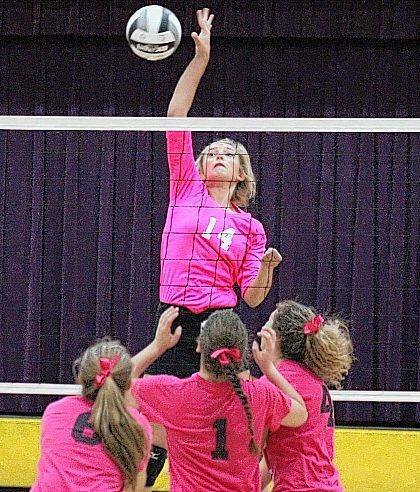 SHS sophomore Baylee Wolfe led the hosts with 11 service points, including one ace. Jane Roush and Kassie Barton both finished with seven points and two aces in the setback, while Marissa Brooker, Baylee Grueser and Phoenix Cleland had three points apiece, with Brooker and Grueser both earning one ace. At the net, Wahama freshman Emma Gibbs led the victors with seven kills and four blocks. Billups was next with six kills, followed by Madison VanMeter with five. Roush and Gracie VanMeter had one kill apiece, with Gracie VanMeter earning a team-best 10 assists. Wolfe posted a match-best nine kills for the Lady Tornadoes, Phoenix Cleland added six kills, while Sydney Cleland came in with five. Paige VanMeter had two kills for the hosts, Roush added one kill, while Jolisha Ervin and Abby Cummins contributed one block each and Brooker finished with a match-best 18 assists. Both teams have quick turnarounds, hosting league matches on Tuesday, with Southern welcoming Trimble, and Wahama entertaining South Gallia. Both teams will wrap-up TVC Hocking play on Thursday, as Southern visits Federal Hocking and Wahama travels to Miller.